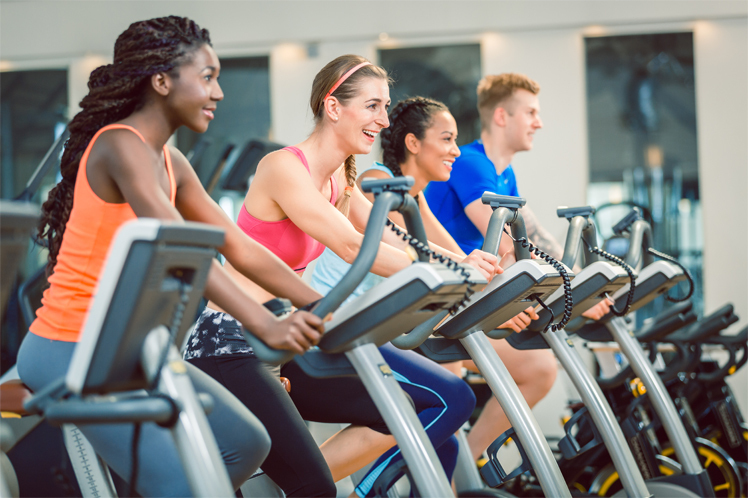 For most health and fitness studios, membership and class attendance spikes in January as people try to get back on track after the holidays. But once the novelty of resolutions wears off, most people start to drop off. You want to keep customers and you don’t want sales to decrease. According to a Credit Donkey report on past years, 80 percent of people who joined a gym in January quit five months later. Luckily, there are a few things you can do to help retain your customers long after the new year is over. Use a simple email management system to follow up with customers after their first visit. Start building a relationship with them right away and stay consistent. Your email can be as simple as saying thanks for visiting, or offering a special discount. If your clients pay per class, you can offer a special package after their first visit or just for the month of February. You can lower your price per class by $1, or offer a 10 percent discount. Do what works for your studio, but offering a discount could encourage people to come back. You could even offer a “bring a friend” discount to encourage more people to come to your studio. Customers tend to be more loyal when they feel as if they are a part of something bigger and that they belong there. You can accomplish this in a few ways, like hosting a BBQ or event at your studio. For example, on Valentine’s Day, maybe give everyone a flower or offer a free glass of champagne or health smoothie after class. The relationships your trainers and coaches have with clients are also very important. Be sure to tell your staff to engage in meaningful ways with clients as much as possible to keep them coming back. Take an audit of your most loyal members, then send them a small gift or discount on your studio’s retail products. For example, if you offer a luxury shampoo in the showers, send customers a sample size. This will help increase sales from your most loyal members to ensure they keep returning to your studio — because they know you care. Since January typically means more people than usual coming through your doors, retraining your staff on customer service can ensure your team stays calm and provides your new customers with a great experience. Some training tips: Make sure your team apologizes when something goes wrong and that they thank people for coming into the studio. Be sure to be active on social media. This helps your business remain top of mind to your customers. You can also implement social listening. Read the comments that people leave, and then respond thoughtfully. This helps your community feel heard, and you can use it to improve your studio.